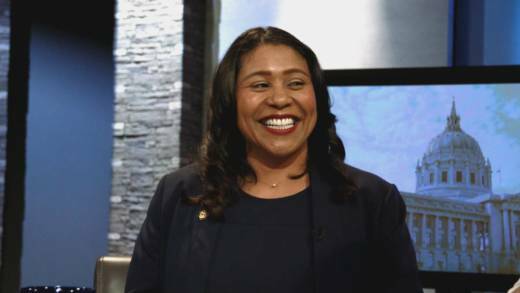 San Francisco Mayor London Breed announced Monday that the city is pledging to spend $100 million on affordable housing orders from a proposed modular building factory in the coming years. Modular building is a method of construction where the components are built somewhere else and then transported to the construction site for assembly. Breed said the city, which continues to reel from a housing affordability crisis, needs new ways to quickly construct cheaper homes. "We could actually build housing faster and less expensive with modular," Breed said in an interview. "We're in a crisis. We need more housing in San Francisco so we have to be open to exploring every opportunity to produce more and produce more faster." The first phase of an economic feasibility study is currently underway for a proposed factory to be built on industrial land overseen by the Port of San Francisco. Nelson Worldwide, an international design firm, is conducting the study, city officials said. The second phase will involve developing a business plan for the factory, which could start operating in a few years. Breed said San Francisco will be the facility's first customer. The project is part of the city's goal to create housing for people living on the streets, according to one of the mayor's top housing officials. "Providing new homes for people experiencing homelessness as fast as we can is essential to creating a compassionate and livable city for all San Franciscans," said Kate Hartley, director of the Mayor's Office of Housing and Community Development, in a statement.